QCC President Dr. Luis Pedraja wants to know what the students at QCC are thinking and he knows sometimes the best way to have a candid conversation is during a meal. On February 26, Dr. Pedraja once again met with students in the Fuller Student Center to share pizza and conversation in an ongoing series, Pizza with the President. The event drew about two dozen students who talked to the President about a variety of topics that included: police presence and awareness, the website, the Welcome Center, parking fee, plans to expand the tutoring center for disabilities office, pot holes on Burncoat Street exit, waiting list for classes, gender neutral bathrooms, locks on doors in bathrooms, better information available on clubs and student activities, homelessness and other topics of concern. There was also a Pizza with the President event at QCC Southbridge on February 27 and one scheduled at the Downtown Healthcare and Workforce Development Center on March 5. An evening Pizza with the President is scheduled for March 19 from 5:00 p.m. - 6:00 p.m. in the Fuller Student Center. Quinsigamond Community College is bringing its message of shortening the distance to higher education to the communities it serves with its new college van, the Wyvernmobile. Decked out in QCC garb, the Wyvernmobile was developed to deliver QCC services to the community and increase access to higher education. The van will make QCC information easily accessible for those who may not have Internet access or who may not be able to visit the college campus. The Wyvernmobile is a tricked out 2015 Ford Transit Connect van that’s maintained by students in QCC’s Ford Certified Automotive Technology Program. The van will be equipped with general information regarding enrollment, admissions, financial aid and programs at QCC. It will make regular visits to area high schools, festivals and outdoor events, Worcester City Hall and different neighborhoods and locations within the City of Worcester and surrounding towns that are serviced by the college. Additional travel locations will include malls, high school sporting events, Worcester YMCA and YWCA, Worcester Housing Authority locations, Veterans organizations and shelters. The Wyvernmobile will now be able to visit different areas to target populations that had previously not been as accessible. QCC President Dr. Luis G. Pedraja said the need to get into the communities is imperative. QCC has also started a pilot initiative of community-based learning centers that will begin in the fall. The college is in the process of partnering with three different agencies to create centers in the communities where students live. The community centers will offer a safe place for students to study, free Wi-Fi, in addition to some computers and printers. “A community college cannot just be defined by the walls of our campus. It must be present in our community,” Dr. Pedraja said. 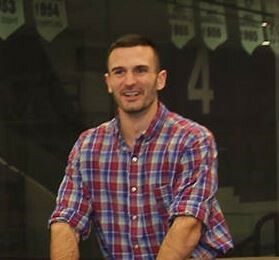 QCC Student and basketball captain Johnny Dombrowski was honored during the last Wyvern men’s home basketball game on Saturday, February 10. This season the QCC sophomore ranked second in the nation for “free-throws” percentage, and seventh highest in the nation in 3-pointer percentage. “We all wish Johnny the best as he continues his education. He is currently being recruited by a number of four-year colleges,” said QCC Athletic Director Lisa Gurnick. To learn more about Mr. Dombrowski’s remarkable journey both on and off the court, read the recent Telegram and Gazette article on him. Quinsigamond Community College theater students recently had the opportunity to attend the regional Kennedy Center American College Theater Festival (KCACTF), held at Western Connecticut State University in Danbury Connecticut. This was the first time QCC theater students had attended the festival. The students spent the better part of three days performing in plays, viewing other student plays and attending workshops that included a myriad of topics such as puppetry, improvisation, writing poorly, basics in special effects, acting, movement, stage management, make up, voice, script analysis, musical theater and dance. QCC students Alejandro “Alex” Fontanes and Lola Balogun were cast in the National Playwright Program (NPP) One-Act plays. These are original 10-minute plays written by students, accepted by the NPP and directed by professional directors. Ms. Balogun was cast for a play entitled, Legs, written by Hannah Berman and directed by Kaia Monroe Rarick. Mr. Fontanes was cast in a play entitled, Initiation, written by Kyle Gregory and directed by Adam Zahler. Mr. Fontanes was also a nominee in the Irene Ryan Acting Award program during the northeast regional festival. While he and his partner, QCC student Liam Doherty did not move past the first round, according to QCC Theater Director Kelly Stowell, they showed really well and received great constructive feedback from the judges. “All of the students broadened their horizons by attending workshops and watching other students perform,” Ms. Stowell said. Student will hopefully be able to use their new found theatrical knowledge in the college’s Theater Club’s upcoming performance of “Thornwood,” to be held this spring. For more information on QCC’s theater program visit www.QCC.edu/theater. QCC student Jason Butler was awarded a $2,000 scholarship through Grainger’s Tools for Tomorrow Scholarship during a ceremony held on Friday, February 23. The Grainger Tools for Tomorrow Scholarships program awards $2,000 for tuition and books to community college students in their final year of study. These scholarships are offered to college students who are in programs at one of the participating colleges in the U.S. Mr. Butler also received a Westward toolkit from Grainger that was customized to his areas of study and career goals. Half of these scholarships, awarded nationally, go to veterans of the U.S. Armed Forces who are earning an associate degree or certificate in an industrial trade at one of the participating community colleges. The program was established by Grainger in 2006. Mr. Butler is a veteran who is currently enlisted in the National Guard. He recently received associate degrees and certificates from QCC in Manufacturing Technology, Automotive Technology and Business Administration. He is also currently working toward completing his associate degree in Engineering. Our thoughts are with the victims and those who are affected by the recent tragedy at Marjory Stoneman Douglas High School in Parkland, FL. At QCC, your safety and well-being are our top priority. In that vein, we’d like to remind you that it takes all of us working together as a community to enhance our safety. Please report any suspicious or questionable activity to campus police (508.854.4444) or a faculty or staff member. We must all work together to make all of QCC’s locations safe places to learn and work. The attached video was produced by the City of Houston, TX under a Department of Homeland Security grant. It is a six-minute video entitled, "Run, Fight, Hide." It strives to educate you on some options that you could choose should you ever be caught in an “active shooter” situation, whether it is on campus or in your everyday life off campus. The video provides a look into the “active shooter” situation and the options you may have should you ever be in harm’s way. On Friday, March 23 at 7 p.m., Quinsigamond Community College’s School of Humanities and Education is sponsoring "An Evening with Roxane Gay," with proceeds from the “Literary Philanthropy Project” event going to merit and need-based scholarships for QCC students. Courageous, humorous, smart and real are just some of the words that could be used to describe New York Times bestselling author and cultural critic, Roxane Gay. Ms. Gay, will be featured in an evening of conversation at Mechanics Hall in Worcester, where she will discuss her bestselling book Hunger. Ms. Gay is an author and cultural critic whose writing is unmatched and widely revered. Her work garners international acclaim for its reflective, no-holds-barred exploration of feminism and social criticism. With a deft eye on modern culture, she brilliantly critiques its ebb and flow with both wit and ferocity. Ms. Gay is also a contributing op-ed writer for the New York Times and recently became the first black woman to ever write for Marvel, writing a comic book series in the Black Panther universe called World of Wakanda.The Black Panther superhero movie recently hit the theaters to rave reviews. The event will begin at 7:00 p.m. with doors opening at 6:00 p.m.
QCC students with current, valid I.D. can receive general admission tickets for $5 by going to Room 125A Monday-Friday, 8:00 a.m. - 4:00 p.m. Acceptable forms of payment include: cash, checks (made out to QCC Foundation), and credit cards. For more information and tickets visit www.QCC.edu/roxane-gay. Meeting the needs of the communities it serves is an integral part of what makes Quinsigamond Community College distinctly unique to the region. One such program that has quietly and effectively been making a difference is the college’s Dual Language Early Childhood Program. For close to five years this program has been filling a vital need for early childhood educators in the Spanish speaking community. The program offers family childcare providers the ability to take early childhood courses that are taught in both English and Spanish, according to the needs of the students. The goal of the program is to impart early childhood content first in the student’s native language, with a gradual increase of English proficiency over a six course sequence. Students who complete this program will receive an Early Childhood Education (ECE) Birth through 8-years-old Certificate. Unlike other program models that are presented completely in Spanish, QCC’s program is taught in both English and Spanish. According to QCC’s ECE Program Coordinator, Charlene Mara, it was imperative to keep the focus of the program as dual language. According to Ms. Mara, finding someone who had an early childhood background and who was extremely proficient in both languages proved to be an initial challenge. After almost loosing heart that she would ever find someone, Ms. Mara received a phone call from Miluzka Munoz-Noriega. Ms. Munoz-Noriega, who is from Worcester, had been teaching at Urban College in Boston and had heard about QCC’s idea of a dual language program. “She found me through the grapevine just when I was giving up hope,” Ms. Mara said. Today, Ms. Munoz-Noriega teaches or co-teaches all the courses in the certificate program. The program has been full with current family childcare providers since it began. One of the key elements that make this program such a success is its “mentor-like” format. A tutor (a teacher from the Children’s School) is embedded in all the classes with the students each week in order to know the content that is being covered. The tutor acts as a liaison between the students and the instructor for course assignments, individually supporting students as they develop stronger English skills. The tutor is able to offer assistance with required class reading and writing assignments, from both the literacy aspect and the early childhood aspect. On a more informal basis, stronger ECE students are often paired with students who may need a bit of extra assistance, which is a strategy that has worked in all of the ECE programs. Students are also given support out of the classroom by QCC student teachers, who visit the childcare providers to observe and offer help where it’s needed. In addition, the program is taught both day and night, giving students the flexibility they need in order to fit their schedules. On March 13, from 6 – 7:30 p.m. the first group of students to complete this groundbreaking program will be honored at a fiesta-themed potluck event to commemorate their graduation from the Dual Language Early Childhood Program. The students will also formally graduate in QCC’s May Graduation Commencement ceremony. For more information visit QCC's Dual Language Early Childhood Program. Do you know what skills and qualities an employer is looking for in an employee? Do you know how to present yourself in the best possible light during an interview? On Wednesday, March 7 from 11:30 a.m. – 1:00 p.m. in the Harrington Learning Center in 109A&B, Career Services and Student Life will be hosting a QCC’s Workplace Etiquette Luncheon to help students learn about the characteristics that employers are looking for during an interview. Four employers will be on-hand to discuss the skills and qualities they look for in a candidate during an interview. This informational workshop will offer you the tools you need to make a positive impression during an interview. Prepare for your future now and attend this valuable and informative workshop. Professional Dress is required and students must RSVP by March 5 as seating is limited. Lunch will be provided.To RSVP call Nicole Wheeler at 508.854.7476 or email nwheeler [at] qcc.mass.edu . 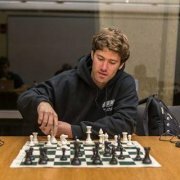 At Quinsigamond Community College excitement is brewing with the upcoming visit of International Chess Master Marc Esserman. On Saturday, March 24, QCC will be hosting an event known as a chess simul, whereby any chess players will have the opportunity to play a game of chess against Mr. Esserman. For those unfamiliar with a chess simul, this is when one player, generally a high ranking chess player, simultaneously plays multiple players. The high ranking chess player makes his/or her move and then goes on to the next player, going down the line.This will continue until all games are finished. QCC’s chess simul entry fee is $10 per player and is open to the public. Mr. Esserman, who is currently ranked 60th by the U.S. Chess Federation, will also be available at the end of the simul to answer questions and sign his book, which will also be offered for sale. Registration begins at 9:00 a.m. in the QCC cafeteria in the Administration building on the college’s main campus. The chess simul starts at 9:30 a.m. and will end at 4:00 p.m. Children are required to be accompanied by a parent or guardian. Questions? Contact Professor Jerry Williams at 508.335.0692. QCC's Psi Beta/Psychology Club will be holding its Third Annual Psych Fest to help raise awareness and funds for important mental health issues. The event will take place on Wednesday, April 11 from 1:00 p.m. - 3:00 p.m. in the Hebert Auditorium. The show is a mix of any artistic and performance art forms, including but not limited to: singing, bands, dancing, comic sets, poetry/spoken word, and theater.Though preference is given to QCC student performers, submissions are open to anyone who feels they can contribute to our event and goals. Funds from the Psych Fest show will benefit Safe Homes, a program of The Bridge of Central Massachusetts, a human services agency headquartered in Worcester. Safe Homes is a program supporting LGBTQ youth, and their straight allies, between the ages of 14 and 23. The group is led by youth peer leaders, professional staff, and volunteers who offer support, resources, and opportunities for socialization in a safe and nurturing environment. Looking for a fun event that supports a good cause? Look no further than Phi Theta Kappa’s Bowl-A-Thon! On Saturday, March 4, from noon to 4:00 p.m. PTK will be holding its annual Bowl-A-Thon at AMF Bowling Lanes, 101 Southbridge Street in Auburn. Cost is $30/per person and includes two hours of bowling, bowling shoes, pizza, soda and dessert. Six people will be playing per lane. All proceeds from the event will go to support “Lilly,” the Worcester Public Library Bookmobile. For more information call PTK Advisor Bonnie Coleman at 508.854.7412 , email her at bcoleman [at] qcc.mass.edu or stop by the PTK Office in Room 349A. On March 22, from 12:30 p.m. - 1: 30 p.m. in the Harrington Learning Center 109B, Psi Beta and the Psychology Club will host Dr. Gary Senecal a visiting professor of psychology at The College of the Holy Cross, and an adjunct professor at Assumption College. He will discuss,The Brain and Beyond in the Aftermath of Head Trauma. The focus of this talk will be specifically on how the loss of identity, the breakdown of social structures, and the reinforcement of violent tendencies can play a significant role in exacerbating a similar range of symptoms to Chronic Traumatic Encephalopathy (CTE). The presence of CTE, has been found in the brains of dozens of deceased former contact sport athletes who suffered a range of debilitating symptoms. Research into CTE has revealed vital findings into understanding the diverse symptoms experienced by these athletes. However, scientists examining CTE have acknowledged that many of these symptoms do not occur until several years after athletes leave their careers. a similar range of symptoms to CTE. Dr. Senecal's research focuses on the social psychology of violence, the theoretical psychology of violence, masculine identity, and the career transitions of individuals who have retired from or been deselected from careers that exposed them to regular violent endeavors. He is a current member of the Army Reserves and sports psychology consultant, as well as a former collegiate football player and former college football coach. For questions, contact QCC Psychology Professor Valerie Clemente at vclemente [at] qcc.mass.edu . February 14 was a fun-filled and informative day at QCC as the Office of Student Life, Brothers & Keepers, S.H.E., and the Counseling Center hosted a Valentine's Day event at the Harrington Learning Center. Students, faculty and staff spent part of their afternoon listing to QCC Counselor Tina Wells, give a talk on healthy relationships, along with caricature drawings, a candy bar, music, and a photo booth. Combining departmental and student resources for the common good is something that just seemed like a natural fit for QCC student Ana De la Torre, an Environmental Science major. Last fall, Ms. De la Torre took her passion for the environment and started the Environmental Think Tank Club at QCC. Although relatively new, the club has begun to spawn many ideas and projects. “The core mission of the club is to teach about the environment and how we are also involved in it,” Ms. De la Torre said. One of the first projects the club is initiating is the Little School Reusable Bag project. The premise is to teach children (and adults) how disposable plastic bags affect the environment by having children at the Children’s School make drawings that will then be embroidered onto reusable bags, using QCC’s Fab Lab embroidery machine. Ms. De la Torre met with instructors at the Fab Lab and teachers at the Children’s School to discuss the idea. Both departments were excited to jump onboard and help with the project. “This School Bag is an ideal project for the Fab Lab. It is community-based and demonstrates some of the newest technical capability of the lab. It is a great example of digital fabrication, converting a drawing to a digital file that can be used by a machine. In addition, it shows that Manufacturing can be really cool," said Damian Kieran, QCC Associate Professor of Manufacturing Technology. Ms. De la Torre recently met with children (ages 3-5) at the Children's School, showing them pictures of animals, birds and sea creatures that are most often affected by trash and disposables. “I told them about plastics bags, trash and all disposables and explained that when animals eat these things they get sick,” Ms. De laTorre said, adding that the students quickly made the connection of how trash can negatively impact the environment. After Ms. De la Torre talked with the children they immediately went to work drawing pictures that will embroidered onto the disposable bags using the Fab Lab's embroidery machine. She said the goal is to have the bags bring an awareness of the impact disposables have on the environment to not only the children, but to adults as well. Student volunteers are currently needed to help bring the project to fruition. Any student who is interested in helping with this project can reach out to Ms. De la Torre at adelatorre [at] qmail.qcc.edu and Alex Gray at agray [at] qcc.mass.edu . Quinsigamond Community College is part of the 15 community colleges in Massachusetts that were selected by the U.S. Department of Labor to receive a $20 million grant, known as the Guided Pathways to Success in STEM (GPSTEM) Grant. The grant is enabling the community colleges to collectively work on addressing the training and educational needs of workers and employers statewide, focusing on joint pathways to careers in high-growth STEM (Science, Engineering, Technology and Math) sectors. The initiative is being led by Massasoit Community College. QCC’s STEM enrollment has risen by nearly 26 percent. All academic programs have been sorted into eight areas of study. The Admission’s Office has published streamlined program booklets for each area of study that contain academic maps and career pathways. QCC has embedded advisors into departments to assist students in choosing a major, with career exploration as a primary focus. Math pathways have been aligned with majors depending on whether a student is choosing a STEM, non-STEM, or Education degree. Math classes have been accelerated, allowing students to take a developmental course and a credit-bearing course in the same semester. The CSET program is experiencing positive changes. The program now offers students a virtual lab that students can access from home. The GPSTEM model is geared toward reducing the time it takes for students to complete certificate and degree programs and enter the workforce. 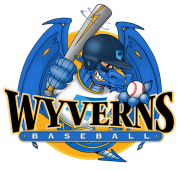 Wyverns Baseball will be holding a Kids Baseball Clinic on Friday nights and Saturday mornings. The Clinic is being run by QCC Head Baseball Coach John McLaughlin, his coaching staff and QCC 2018 baseball players.The Clinic will be held at the QCC Gym in the Athletic Center, located on the college’s main campus. The Clinic is available for children in grades 1 – 8. Cost to attend one session is $30 (attend 2-4 sessions and pay $25 per session). Friday night Clinics are on March 2 and March 16 from 5:30 p.m. – 7:45 p.m.
Saturday morning Clinics are on March 3 and March 17 from 9:45 a.m. – noon. On Thursdays, from 5:30 p.m. – 6:30 p.m. local Golf Pro Jim Fenner will offer free golf sessions in the Athletic Center to all students, staff and faculty with a valid QCC I.D. Clubs will be provided. All you need to do is show up and know the rust off your swing! Golfers of all skills are welcome! FORE more information, stop by the Athletic Center or call 508.854.4317. All classes are free for QCC students (with a current QCC I.D. ), employees and members. A QCC scholarship opportunity is available for eligible students. The Olga Lopez-Hill Scholarship honors a former member of the QCC family, Olga Lopez-Hill, who graduated from QCC in 1990 and worked at the QCC for over 20 years advocating for students and inspiring them to continue their efforts to further their education. Letters of support from faculty and staff members may accompany the application. Completed applications must be received by the end of the day on Wednesday, March 21, 2018. Email completed applications to dgonzalez [at] qcc.mass.edu, or send it by mail to: Dr. Deborah L. Gonzalez, Quinsigamond Community College, 670 West Boylston Street, Worcester, MA 01606. The scholarship will be presented at the annual HACE event on Wednesday, October 3, 2018 at 5:30 p.m. in the Harrington Learning Center. Last month, the QCC Diversity Caucus hosted the ZUZU African Acrobats in the Hebert Auditorium for the QCC community. Students, faculty and staff were treated to a mesmerizing performance featuring an authentic representation of what you would see at a cultural center in Nairobi or Mombasa. On January 31, QCC students in Professor Andria Schwortz's Astronomy class were offered the chance to witness an amazing phenomenon when the region witnessed a total lunar eclipse, known as a the Super Blue Blood Moon. Locally the event was only visible for a mere 13 minutes in the early morning hours. 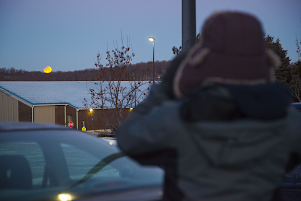 QCC's diehard astronomy students got up early and braved the chilly morning air to witness this spectacular event. March 3: Mid-term grades available on The Q. March 11-17: Spring Recess… No Classes! March 19 - March 30: VIP Registration for returning/active students. Get the classes you want for summer and fall semesters! QCC’s Veterans Club will participate in the Color Guard and present the colors during the national anthem at the Friday, March 30 Worcester Railers game. 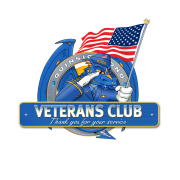 Stop by the DCU Center at 7:05 p.m. and support your QCC Veterans Club. Tickets are $12 (a $5 savings from the Box Office!) To purchase tickets visit QCC/Railers tickets . On January 29, 2018, Strategic Engagement & Community Connections welcomed Marisol Cruz as Coordinator of Records and Registration (Academic Counselor). Marisol brings to this position over 26 years of higher education experience. Most recently, she was a Campus Director at Bay Path University. Marisol earned a Bachelor’s of Science and a Master of Science from Springfield College. Please join us in welcoming Marisol into her new role.